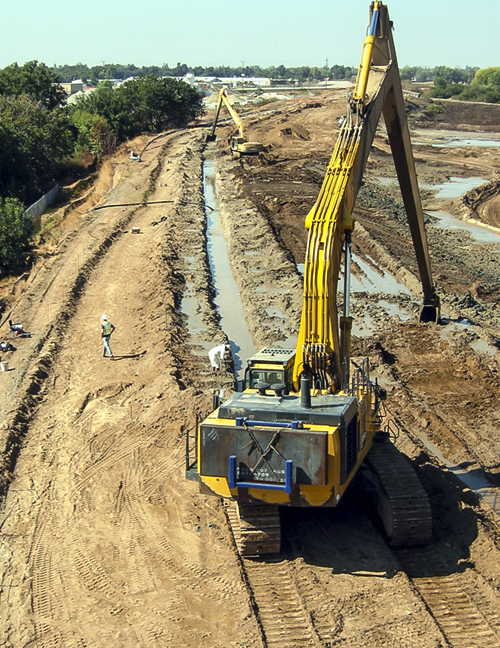 This project is one of series of slurry walls that Geo-Solutions has participated in for the flood protection of the Cities of Marysville, Yuba City, and Sacramento, California. This area is at high risk of flood damage, only exceeded by New Orleans. Geo-Solutions teamed with local contractors to complete many of these projects. The non-flood season is limited, so work often continues 24 hours per day, 7 days per week. 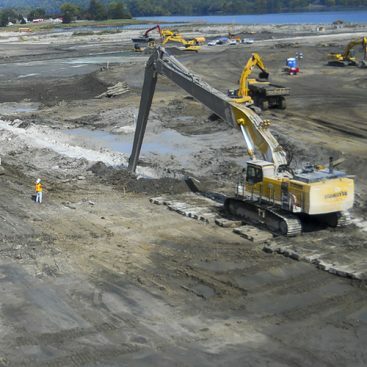 On this project Geo-Solutions teamed with a local contractor on a technical assistance basis while another large specialty geotechnical construction company worked for the same contractor under a more conventional subcontract. 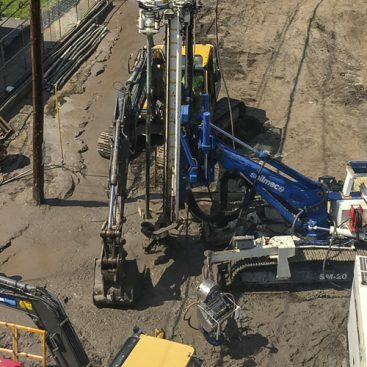 Geo-Solutions equipped a large excavator with a custom long stick and long boom to permit excavating up to 85 feet deep. 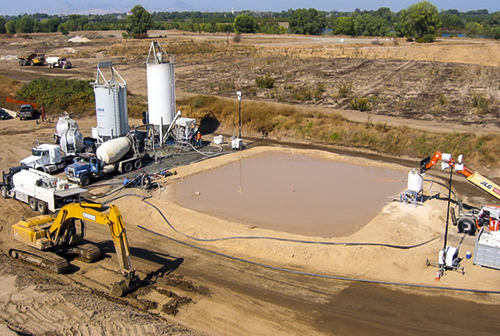 Geo-Solutions also provided the bentonite and cement grout mixing plants, on site quality control and slurry specialists. Geo-Solutions formulated a design mix to meet the stringent requirements of the specifications. 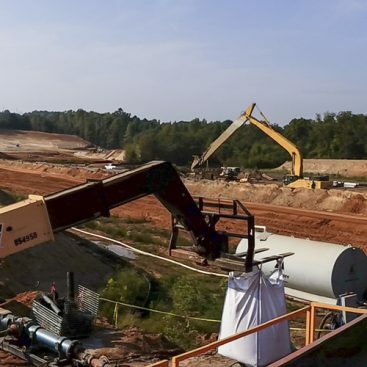 The other subcontractor provided the same basic services including labor, materials, and equipment including 2 large excavators with long sticks and booms. The specified requirements for the SCB were a permeability of less than 1 x 10-6 cm/sec at 7 days of curing and an unconfined compressive strength of 30 to 300 psi at 7 days of curing. Previous work in the area has shown that the permeability and strength of SCB improves with continued curing. Geo-Solutions’ design mix proportions were made conservative in order to expedite construction. 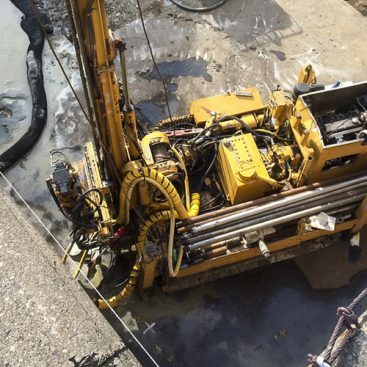 Geo-Solutions’ equipment was able to produce at record levels. All of our SCB easily met specifications with the work proceeding around the clock for about 10 weeks. The project was considered a major success for the general contractor and the owner and allowed completion of the work prior to the start of flood season.